Venture into the north of the island, and you’ll hit upon very different scenes from those in the south, east and west. Past the inland town of Inca and reaching the northern border of the central plain at Sa Pobla, the diversity of the landscape becomes apparent. It’s a fresh, fertile, colourful region where the sea meets the mountains, and resorts catering splendidly to holidaymakers sit peacefully alongside traditional, historic towns and villages. 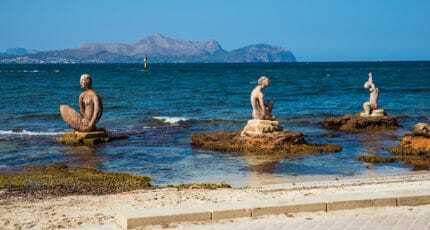 For decades, loyal visitors – especially the British – have returned to Puerto Pollensa and Pollensa town; and once you’ve discovered the charms of the north, it’s likely that you, too, will want to return time and time again. Puerto Pollensa is a classic example of a humble Spanish fishing village turned thriving international community. Tourism arrived in the 1920s, – the first tourist resort – resulting in a clutch of low-rise hotels being built along the pretty seafront. Fortunately, development was sympathetic, and the port escaped heavy development. The same could not be said for Puerto Alcúdia, an altogether more tourist-dense resort sitting around the next bay, which sees its population swelling tenfold during the peak summer months. An air of old-school glamour pervades Puerto Pollensa. The original Hotel Miramar is perfectly preserved, as is Hotel Illa d’Or, favourite stay of Agatha Christie in the 30’s, and the inspiration for her novel ‘Problems at Pollensa Bay’. 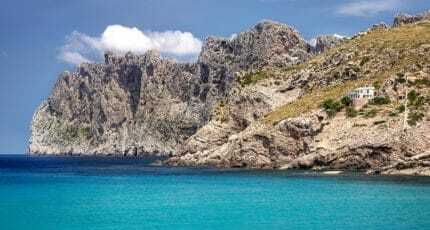 Perhaps nowhere in Mallorca can boast as illustrious a past as the unspoiled peninsula of Formentor, which lies at the most northerly tip of the island. Grace Kelly and Prince Rainier honeymooned here in 1956, and the iconic Hotel Formentor has played host to royalty, public figures and a stream of Hollywood stars over the years, including Errol Flynn and Eva Gardner, Winston Churchill, Elizabeth Taylor, Lawrence Olivier, Audrey Hepburn – and the Dalai Lama. At the time of writing, the debate over the place of bullfighting in modern society still rages on. Audiences regularly converge on the northern town of Muro to watch bullfights at its large purpose-built arena. Founded by the Phoenicians, the town of Alcúdia is believed to be the oldest city in the Balearic Islands. In 121 BC, a successful Roman conquest brought Mallorca under the control of the Roman empire, and settlers poured into the north and south, forming Pollentia, in the area of Alcúdia, and Palmaria (Palma). At the turn of the first century BC, Alcúdia fell under the command of Emperor Augustus, going on to thrive for the next couple of hundred years, until the invasion of the Vandals in the fifth century. They were succeeded by Byzantine and Moorish invasions in the sixth and tenth centuries, and Pollentia fell to ruin; but even today, interesting remains of this important Roman settlement remain, and can be visited. Defensive walls were constructed around the city in Medieval times, and these still stand, encircling the old town with its historic, narrow streets. Inland from the port, the handsome town of Pollensa is soaked in historical significance and authentic Mallorcan atmosphere. Its maze of Medieval streets house several grand 17th and 18th century homes that belonged to noble families, and it has an impressive church dating from around 1236, plus a beautiful 17th century convent. Pollensa owes much of its affluence to the mysterious Knights Templar, the military style religious order who were gifted the town by King Jaime I following their successful conquest of the Moors in the 13th century. Without a doubt, Pollensa, Puerto Pollensa and Formentor are amongst Mallorca’s best-known locations. There is truly appeal to suit all tastes and ages in this area; from dream luxury hotels and sublime beaches, to world-class cycling, family-friendly holidaying and plenty of authentic Mallorcan character. 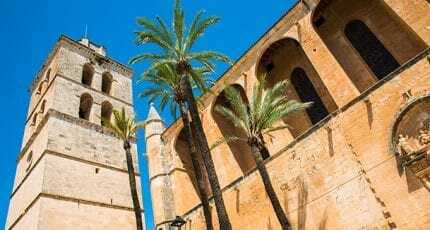 They lie a mere few kilometres apart, but the towns of Alcúdia and Puerto Alcúdia could hardly be more different in character. The first has a rich and chequered history dating back thousands of years, while the latter was only really developed in the 1980’s, when the harbour was modernised and a glut of hotels sprang up. A bustling town, much of Alcúdia is pedestrianised and lends itself wonderfully to strolling. Something of a mini Palma, the streets inside the preserved 14th century walls boast many nice bars, cafes and restaurants, and there is a market every Tuesday and Sunday. In contrast, Puerto Alcúdia is highly modernised, with a beautiful, idyllic sweep of beach. Some 14km in length, it stretches to Playa de Muro and continues all the way to C’an Picafort further down the coast. Considered one of the island’s best, Alcúdia beach is popular with tourists and locals alike. With more than 30 km of coastline, it goes without saying that North Mallorca is heaven for beach goers and water-sports enthusiasts. Such a privileged natural environment makes it a remarkable place for outdoor activities and exploration galore. In 1945, a curious thing happened in the northern inland town of Campanet. A farmer looking for a water source on his land felt a draught of air…. and upon closer inspection, discovered a huge underground network of caves. Less touristy than the other cave attractions on the island, they make for a more laid-back visit – and they’re surrounded by the prettiest countryside. Set off on the still, calm waters on a stand-up paddle board, or discover the fast thrill of kitesurfing. The bays of Pollensa and Alcúdia are ideal for both activities, and you can easily take lessons and hire equipment. Mallorca Kiteboarding & SUP is situated within Aparthotel Club del Sol, just off the seafront between the two resorts. The views from Alcanada Golf, which stretch across to the lighthouse on the island of Alcanada, are spectacular. Play is equally good on this Trent Jones-designed course, regularly voted one of the best in Europe. Pollensa Golf, just outside Pollensa town, is a more modest affair, with nine holes well integrated into the stunning local environment. Where do Bradley Wiggins & Co base themselves during Sky Team training camps? North Mallorca, of course. It’s no understatement to describe this area as paradise for cyclists, and one of the best-catered places in Europe for the sport. There’s an abundance of professional cycle hire and repair shops in Puerto Pollensa and Puerto Alcúdia, plus several hotels designed especially for cyclists, including the excellent Pollensa Park & Spa – situated straight across from the Pro Cycle Hire shop. Tip: head to Tolo’s restaurant on the front in Puerto Pollensa for lunch or dinner with the biking community – and a glimpse of the Olympic bike belonging to Wiggins himself. Owner Tolo is a great personal friend of Sir Bradley and Sir Chris Hoy; who he knew when they were just starting out. 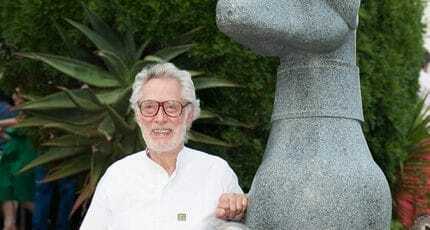 In the middle of the Alcúdia countryside, a must-visit for paintings, drawings and sculpture, and home to the SoKraTES space (with extraordinary exhibits, including the Swarovski curtain) is the Yannick and Ben Jakober Foundation. Home to the fascinating ‘Nins’ collection of paintings of children from the 16th-19th centuries, that you can visit for free on Tuesdays. C’an Planes is a contemporary art museum in the centre of Sa Pobla. Besides housing a modest collection of painting and sculpture by Mallorcan artists, the adjacent building is dedicated to the traditional annual celebration of Saint Anthony. The fiesta of Sant Antoni and the devil is a big deal in Sa Pobla and most traditional towns in Mallorca, and this is the place to find out more about its origins – plus see the huge model heads and figures that are a key part of the event. The museum is open Tuesday to Friday from 10:00 – 14:00 h and 16:00 – 20:00 h, and mornings only only Saturdays and Sundays. Closed in August. Can Picafort is a somewhat busy and touristic beach, but with good reason. Pristine golden sand and beautifully clear, clean waters await at this spot along the bay from Playa de Muro. If you prefer your beaches to reflect unspoiled natural beauty rather than lots of facilities, head to Son Serra de Marina. Backed by sand dunes, this quiet sweep of beach is popular with kitesurfers and, when conditions are right, surfers. Former British Prime Minister David Cameron and family have been known to holiday at Cala San Vicente, a precious small resort a few kilometres from the town of Pollensa. Look out for the small sign shortly after the Lidl supermarket when taking the road from Pollensa to the port – blink and you’ll miss it – and follow the winding road to this little paradise cove with its basic fish restaurant. 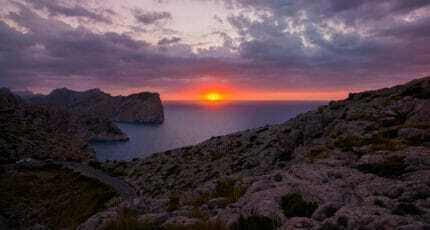 Wild and rugged, Cap de Formentor is a secluded beach at the northern tip of Mallorca. 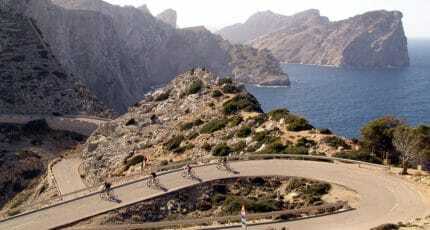 The road from Puerto Pollensa is steep and winding – watch out for cyclists – and stretches for around 15 km. Once there, you’re rewarded with wonderful pine-flanked sands, and dramatic vistas of the Med and mountains. La Victoria peninsula, which separates the two bays of Pollensa and Alcúdia, is relatively unknown to tourists and a world away from the busier resort beaches close by. Made up of a succession of gorgeous little coves, you access La Victoria via the Cami de Mal Pas road which winds from Alcúdia town to the coast. Once at the Cocodrilo marina, turn right at follow Cami Vell de Victoria for a couple of kilometres until you reach the paradise pebble beach of S’Illot, with its simple fish restaurant and turquoise waters perfect for snorkelling. You could be forgiven for thinking that Palma and South West Mallorca is the best place for the international gourmet; but the north is by no means without its excellent eateries. Romantic seaside stays; purpose-built family resorts; rural idylls and chic boutique hotels – the north has them all. Life quietens down out of season in North Mallorca, when most events taking place are of the small community and traditional religious kind, but there are a few great events happening in summer that will add unforgettable memories to any stay here. A taste of history combined with that of the island’s best grapes comes courtesy of Pollensa’s annual Wine Fair. This popular event has been taking place each April since 2004, and is held in the town’s atmospheric Santo Domingo cloister. 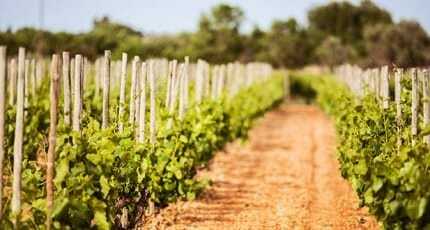 Visitors buy and entrance ticket which permits them to sample a wide variety of Balearic wines; many of them award winning, and there are also several gourmet stands showcasing delicious island produce. Every year on 2nd of August, a big battle takes place in the otherwise peaceful streets of Pollensa. No, it’s not an overheated teenage brawl, but the day of the town’s patron saint, Our Lady of Angels. The clash between the Christians and the invading Moors is re-enacted with great fervour on this date, and with the mock fighting, amazing costumes and general atmosphere, it really is a sight to behold. The days leading up to the battle see all manner of festivities taking place, from dancing and art exhibitions, to live concerts and fun activities for children. Alcúdia is Europe’s most popular Ironman race destination. This legendary annual event sees athletes descend on the north of Mallorca to tough it out in cycling, running and swimming competitions. There’s a fantastic sporting spirit in the area at this time of year – usually around May – when everyone seems to be bitten by the training bug. The race itself takes participants around six hours to compete, attracting many spectators who come to see the fittest of the fit sweating out this gruelling international challenge. Historic Alcúdia possesses a certain magic at night, and its annual jazz fair ramps up the summer ambience. Held from the end of August through the month of September, it features five concerts a week, held at special venues both in the town, and in the port. You can also expect to find local musicians jamming informally in the local bars during these weeks. The north of the island with its long sandy beaches is paradise, particularly for families and fans of watersports. The coastlines, which are well developed for tourism, are well contrasted by the historic towns of Pollensa and Alcúdia, where everyday life is still very traditional and Mallorcan. This delightful contrast is one of the reasons why the North is so popular with property buyers. Ideal for families, couples, the elderly, golfers, hikers and sun-seekers alike, the region is quiet, peaceful, clean and safe. Properties on offer in the communities of Pollensa and Alcúdia range from studio apartments at a starting price of 80,000 euros, up to luxurious country residences worth millions. The buyers in the North are a mix of different nationalities with the majority being British and a notable increase in the Spanish buying back into the market. However, eight out of ten buyers are British families looking for early retirement and a better quality of life. Many buyers are looking for properties as holiday homes for now, with the potential to become primary residences sometime in the future. Price is important, but the typical buyer is more interested in quality, situation and comfort, and developers are responding to this need. 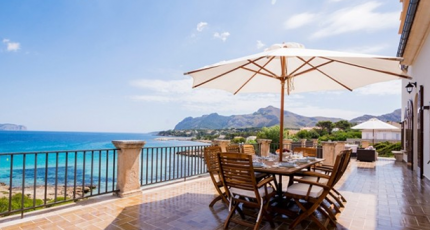 The property price range in Pollensa is one of the most expensive on the island, but Alcúdia, because of its vast size and the variety of property on offer, has something to suit most pockets. The town of Pollensa, surrounded and sheltered by the dramatic Serra de Tramuntana mountain range, is highly popular with buyers who enjoy being close to the vibrant Puerto Pollensa but prefer to live among locals. Another major plus point, mainly for permanent residents, is the fact that businesses and restaurants stay open all year round. 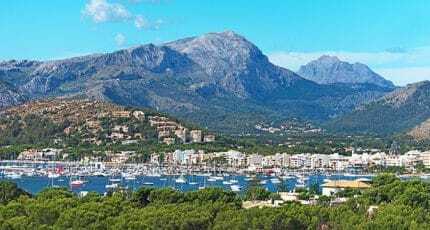 The British and Spanish from the mainland discovered Puerto Pollensa long before the boom of tourism started in the sixties and many families have been spending their summers here for generations. This gives the port a unique atmosphere, unrivalled on the island: the foreigners know each other and the locals! Whether sailors or yacht owners, golfers or hikers, everybody will find it easy to make friends and to integrate into the wider community. Those who live here enjoy mixing with the locals and their children go to local schools. The port is select without being snobby, which differs from the Southwest for example. The atmosphere is friendly and down-to-earth, even though many of the richest families are from British nobility or the business world and have their summer residences here, or are simply part of the expat community. Properties for sale are mainly located in the urbanisations. La Font and El Vilar are quiet residential villa areas at the edge of town, while Gomar and El Pinaret mainly offer apartments. The Bellresguard complex in Puerto Pollensa is considered to boast some of the best apartments not only in Pollensa, but possibly the whole island. The well-designed dwellings are large, and the quality superb. The most exclusive properties in Puerto Pollensa can be found on the Pinewalk, towards the end of the seafront promenade, and of course on the Formentor peninsula. Due to the sea views, limited availability, and seclusion, the villas and residences built on Formentor are worth millions and have mostly been owned for generations by the same families, many of them aristocrats and celebrities. Another highly sought-after area is the picturesque Cala Sant Vincens, situated west of Pollensa with crystal clear water and a romantic bay. 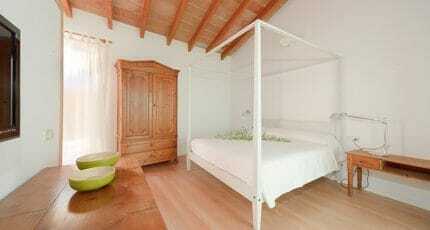 This is an ideal location for those looking for a bit more peace and quiet. 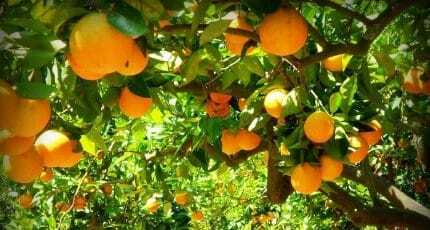 In winter however, it may be too quiet for some: unlike the port and Pollensa, all the restaurants and hotels close down over the winter months and only a few residents stay in the small village. The quiet urbanisations of Mal Pas and Bonaire, which are half way between Pollensa and Alcúdia, are also up and coming. The villas spreading up the mountains boast spectacular sea views, are private and quiet, but are still close to the beaches, restaurants and shopping facilities. 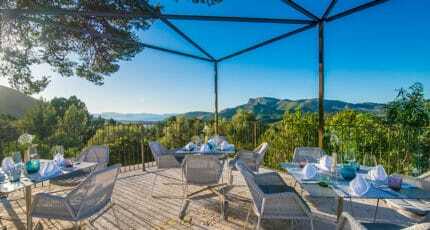 Further towards Alcúdia an area called Aucanada is currently very much in demand. It is a quiet, discreet urbanization which is the home of both foreigners and Spanish and boasts one of Europe’s best golf courses bordering the sea. 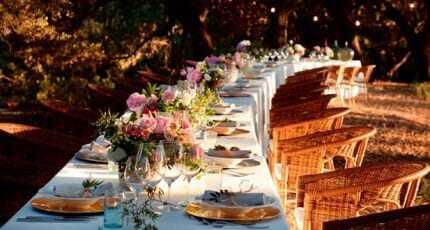 Properties here start at around 400,000 euros. Finally, the region of Alcúdia is split into the historic town of Alcúdia with its picturesque old town, Puerto Alcúdia and the resorts, which spread along the eight kilometre long sandy beach of Alcúdia down to Can Picafort. Alcúdia is the oldest town on the island and even used to be Mallorca’s capital in former days. The well-kept city wall shelters the old town, which has been beautifully restored over the past few years. Similar to Pollensa, property buyers here are looking for a life more off the beaten track. In addition, the property prices are lower compared to Pollensa or the Southwest for example, a fact that applies to the entire Alcúdia bay. The harbour of Puerto Alcúdia has been modernised and has matured very well. The quality of building has improved considerably in the port, as well as in the resorts along the bay of Alcúdia. Those who love to be in walking distance of the beach and are dedicated to all sorts of water sports will find paradise here. In addition, there is a nice variety of restaurants and clubs and even in winter you’ll find Puerto Alcúdia more animated than Puerto Pollensa for example. Those who are buying to rent in the Puerto Pollensa or Alcúdia areas, will not only be spoilt for choice with the range of property, but will also find the region very well established for renting. Many of the rental agencies have been in business here for years and will take care of anything you need when renting out your property: procurement, hand-over and maintenance, gardening, pool service etc. The renting season runs from April to October, and while high season belongs to beach-lovers and families, spring and autumn attracts mainly hikers, cyclists and bird watchers. 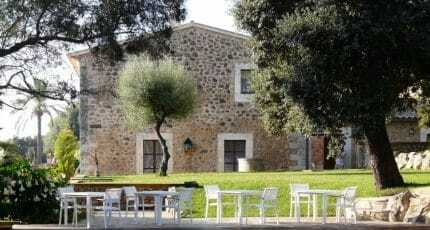 We hope you have found this article about the The Northern Region of Mallorca useful and that you have many memorable stays in Mallorca as a result of our recommendations.